Our mission is to provide comprehensive, state of the art and individually tailored patient care, incorporating an holistic approach across all three domains of diagnosis, treatment and ongoing management of acute and chronic illness. We are committed to promoting health, wellbeing and disease prevention to patients of all ages. Good Health Greenhills is a dynamic, holistic, forward thinking medical practice, offering a vast array of patient focused medical services co- located with Allied Health services to the local community, providing a one stop environment. 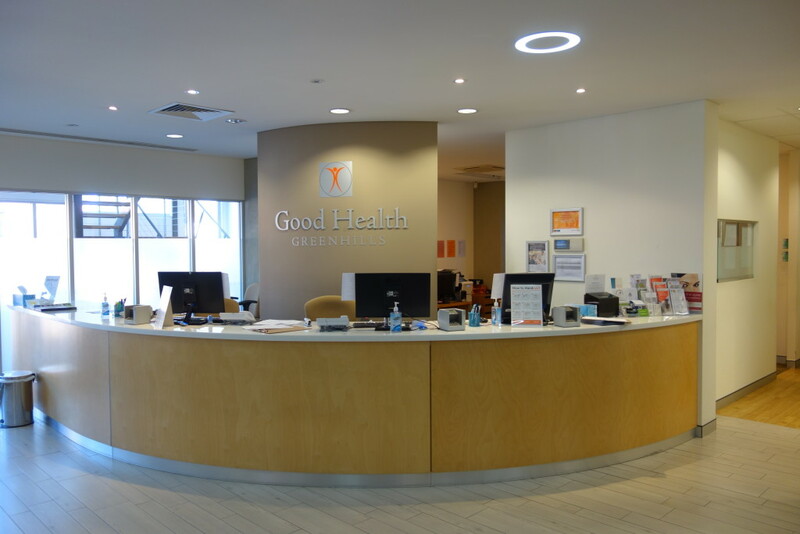 Good Health Greenhills will ensure that patients who receive care are comfortable in entrusting their health information to the practice. The practice will only apply patient’s consent for the primary purpose for which it was provided. The practice will seek additional consent from the patient if the personal information collected may be used for any other purpose. A team of Male and Female doctors. We understand that it is important for you to find a doctor that you “connect” with and that you are happy to discuss your health issues with. That is why we have a diverse team of doctors, both male and female, of different ethnic backgrounds, different ages and with different interest and areas of expertise. Please see our Our Team page for more information about our doctors. At Good Health Greenhills we offer appointments Monday to Friday and Saturday Mornings with extended consultation hours several days a week. When you call to make your appointment our friendly receptionist may ask you some simple questions to best determine which would be the most suitable appointment for you. If you know that you have a problem that may take extra time or you have several health concerns to discuss with your doctor, please speak to the receptionist about booking a long appointment. Appointments within a medical practice are a valuable commodity. If you have confirmed your appointment and fail to attend you may be charged a non- attendance fee. Appointments can be made by calling the surgery on 49 394777 or by clicking on the widget on our home page to book on line. Nobody likes to be kept waiting. Our staff and practitioners are aware of this and endeavour to maintain reasonable waiting times for all our patients. Booking an appropriate consultation time assists us to maintain waiting times to a minimum, however providing the best care and service to our patients is important to us so at times delays are unavoidable. When you arrive for your appointment our reception staff will inform you of any lengthy delays. To help fill in time while you are waiting we have Tonic Health Media, free to air television and free Wi Fi for your convenience. We understand that at times you may need an appointment at short notice. At Good Health we have same day appointments available for such times. You may not be able to see your usual doctor but we will endeavour to meet your needs and offer an appointment on the same day. A designated play area is available for children complete with toys and books to keep the little ones occupied. There is a baby change table available in the disabled toilet for your use. If you are breast feeding and would prefer some privacy please speak to one of our friendly staff and a space will be made available to you. Most of our staff have children of their own and understand the challenges associated with unwell, unhappy children. They will be happy to assist you in any way they can. Our surgery is well designed with ample space for wheelchairs and disabled parking. We have an access ramp and wide corridors to allow for easy navigation around the practice. There are disabled toilets available within the surgery and also in the main entry corridor of our building. 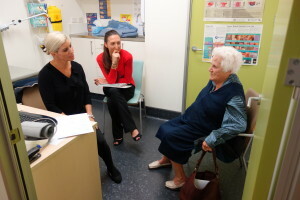 As part of our commitment to ongoing education, medical students from The University of Newcastle will be observing at the Practice from time to time. You will be advised prior to the commencement of the consultation and if you would prefer them not to be present you will have the opportunity to decline their presence in your consultation.